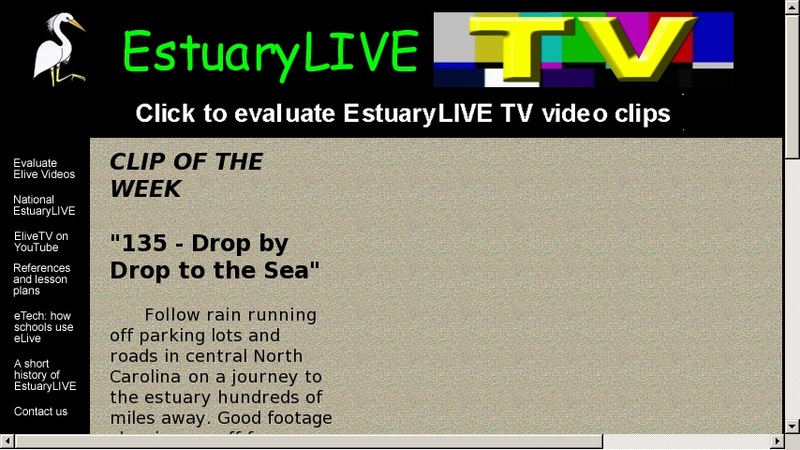 Classrooms and individuals can log on to participate in a real-time field trip to a National Estuary Research Reserve. Ask questions, view live video and still images, and learn about estuaries from experts. Topics range from geology to water quality, estuary plants and animals, and cultural heritage. Includes: references and lesson plans, classroom activities and teachers' guides. Archives of previous years are available, featuring sessions from East, West and Gulf Coast estuaries.